If you are passionate and dedicated to the serious study of acting – this is the program for you: a one-year conservatory program designed specifically to both challenge and nurture the aspiring actor. A maximum of 16 students are selected per year to study directly with some of the best professionals in the industry, for 30 hours of class per week. We strive to give you the most intensive practical training in Acting for Film, Television and Voice Over in the country. Georgie is currently co-starring as a recurring principal as Edward Spellman on The Chilling Adventures of Sabrina on NetFlix, by the producers of Riverdale. Since graduating with honours from VanArts in 2009, Georgie has enjoyed a prolific career as an actor, producer, and director. His acting roles include numerous short films, TV series & movies, including Supernatural, The Magicians, iZombie, When We Rise, and the Leo-nominated web series Hitman 101, for which he also served as co-producer. Georgie has also directed several independent short films in Vancouver with his fellow colleagues and other graduates from VanArts. Originally from Mexico, Isa graduated from VanArts in 2017 and has since been auditioning in Vancouver on a regular basis for local shows The X-Files, Riverdale, Supergirl, and booking roles in commercials, MOWs (Movie of the Week), and ABC Network’s series The Good Doctor. Most recently, Braeden has been busy shooting over in Scotland with a recurring role as Kaheroton on the Starz drama series Outlander. He has also booked roles in TV series Imaginary Mary, Demon X, and Legends of Tomorrow, and done voice-over work for video game Far Cry 5. 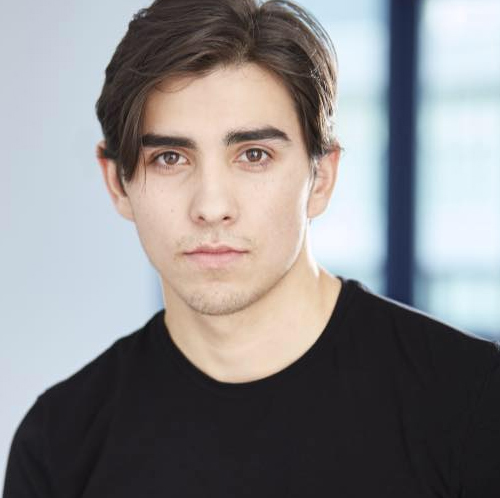 Braeden also starred in a stage role for the Boys Club Network’s theater production of Man Up!, which was performed for the Squamish Nation on Parliament Hill in Ottawa, Ontario. Term 1 is devoted to building strong foundation skills in acting. In these first 12 weeks, your mind, body and imagination are challenged while exploring text and story. This intensive foundation prepares you for the challenges that await you in the upcoming terms, with most classes held in our dedicated studio space. The second term is dedicated to the actor’s individual process and character development, as you begin emerging into public spaces for location shoots and showcases. Through an intensive scene study and a short film project, as an actor you are challenged to use yourself and your foundation skills to advance your personal exploration into story and character. In Term 3 the challenge to you as an actor is full on! You are pushed to expand your range and raise the commitment and integrity of your performance while gaining confidence in your craft. This term is designed to confront and encourage the individual while pursuing and expanding into ensemble work, rehearsing and performing your first full-length play. In the final term, the professional actor emerges in two intensive projects: a short film shoot and a full-length play in a professional theatre space. The last two months are committed to the business. 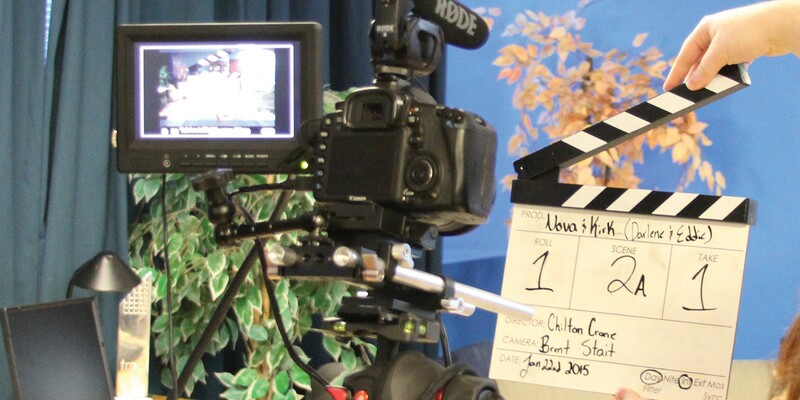 Demo reels, voice over and audition skills are paramount to your success, so many guest speakers and instructors are brought in to pass on their expertise — including professional actors, directors, casting and talent agents who have worked extensively across North America. Bruce studied in New York at the renowned HB Studio with Carol Rosenfeld. 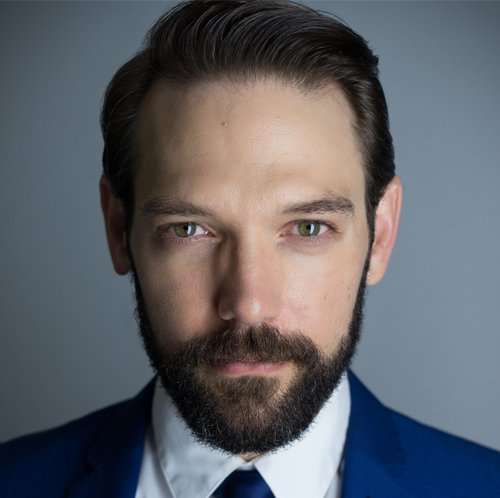 He is a past member of the Equity Theatre Company Sea Theatre and has appeared in many of their critically acclaimed productions including Burn This, Popcorn, and Established Price. Bruce has appeared in numerous film and TV roles. He currently has recurring roles on the popular television series The L Word and the new series Painkiller Jane, as well as playing Flash Gordon’s father in the new Flash Gordon series. He can also be seen as “Captain Harrison” in the feature film Holloman II. His teaching is influenced by Uta Hagen’s methods. Students of his love the fact that he teaches them techniques that work on set and on stage, not just in the classroom. Click here to see Bruce on the imdb. From Winnipeg to London to Vancouver, Julie has trained, performed and taught in theatre, TV and film for well over a decade. Expert at teaching beginning actors, she has introduced over 1000 students at the William Davis Centre to the thrill of acting. European credits includeBrookside (BBC), Soul Survivor (Trisquare), and French National commercial Orange. North American credits include Hallowe’en 8, The Gut Girls , US national Got Milk commercials and character voice work for Da Vinci’s Inquest . Julie just made her directorial debut with Alan Ball’s Five Women Wearing the Same Dress for Kindred Spirits. She brings with her the eclectic background and positive attitude needed to facilitate true acting. Jillian Fargey brings over 20 years of experience as a professional actor working in film, television, theatre and radio. She has sat on the jury for the Genie and Gemini Awards and holds several nominations, as well as a Leo Award for Best Supporting Actress in the film Green Chain. 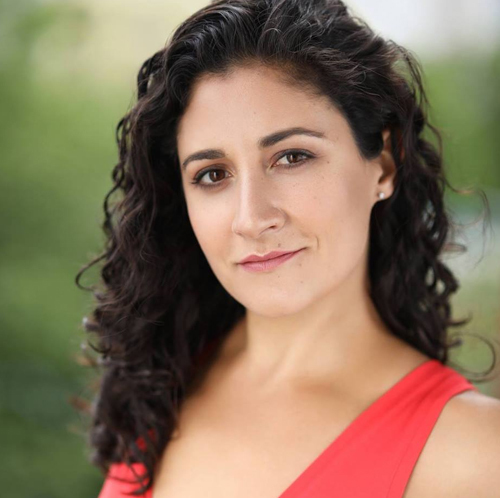 Jillian serves on the Board of Directors for the Jessie Richardson Theatre Award Society and has several years experience as an instructor of the acting craft at several schools and workshops. Tanya Elchuk teaches Voice and Speech at VanArts and Simon Fraser University. She holds an M.F.A. in Theatre (Acting) and a Postgraduate Voice Teaching Diploma from York University, where she studied with David Smukler, and received a S.S.H.R.C. Canada Graduate Scholarship for her research on the neuroscience of acting. She has joined Canada’s National Voice Intensive as Associate Faculty since 2015 and is a member of the Guild & Masterclass of Embodied Practice, led by master teacher Judith Koltai. Prior to teaching, Tanya spent a decade writing and performing original dramatic works throughout Canada and the United States. She has trained and performed with the Double Edge Theatre Ensemble in Massachusetts, and completed a 3-month self-directed residency in New York City funded by the Canada Council for the Arts. She continues to expand her artistic horizons, currently training in Breathexperience, a cutting-edge creative, somatic practice for performing artists. Mel is a highly regarded pioneer of Canadian theatre, a director of international reputation and an innovator in theatre training technique and philosophy. Mel’s thirty-five year history of directing, teaching and performing in Canadian theatre is extensive. This includes artistic directorship of three companies, thirteen years as administrative director of Ryerson’s acting program and national recognition in the form of three ACTRA and two Genie nominations. With Mel’s experience in the education and direction of Canadian talent, he has been honoured to have seen many of his students move on to major roles in the Stratford Festival, the Shaw Festival and regional theatres. Bill Pozzobon has been acting and teaching for over 20 years, having performed with theVancouver Theatresports League, Number 14 at the Axis Mime Theatre, Blackdog Theatre in Toronto, and performing with comedic actor Ryan Stiles at Upfront Theatre in Bellingham, WA. He has taught at the Shadboldt Center for the Arts, Carnegie Community Centre, and Simon Fraser University, where he received his Bachelor of Arts in 1991. Born and raised in New York City, Fiona Hogan grew up playing the piano and writing songs as a child. While in college, she got involved in theater, winning numerous acting awards and being awarded a Regent Citation for Contribution to The Arts. During her studies she wrote the score for three musicals and had work commissioned by Paul Anka. After graduation, she went to Los Angeles and studied with renowned acting coach Ivana Chubbuck, who mentored Fiona, and trained her to become an acting teacher. While under Chubbuck’s guidance, she joined The Actors Playground, where she acted and directed in over thirty-five original theater works.In the late 90’s, Fiona and Ivana went up to Vancouver to oversee “The Ivana Chubbuck Acting Studio.” There, Hogan ran the business, taught classes and coached actors on film and TV sets for over five years. While teaching, Fiona also guest starred on numerous television series and appeared in many studio films including Connie and Carla, A Guy Thing, See Spot Run, Freddie Got Fingered, and had a supporting lead in I, Robot alongside Will Smith. Fiona is also credited with hundreds of voice-over spots on radio and TV shows, the lead in the animated series Alienators: Evolution Continues, and minor roles in seven other animated films. She co-created Mental the Musical in Los Angeles. Gabriel Carter is from San Francisco, California. He graduated from the American Conservatory Theatre masters program. In NYC, he was a voice over director for Don Buchwald and associates where he coached such luminaries as Ally Sheedy, Mary Stuart Masterson, Billy Crudup, Lisa Bonet amongst others. He was a instructor at the Stella Adler Conservatory. In Vancouver he was a core faculty member of Schoolcreative for five years. Gabriel believes acting is not a mimicry of life. Jenny teaches Dance for Actors, and has been a dance instructor/choreographer around the city for several schools and studios, including the Harbour Dance Centre and Vancouver Academy of Dance. As a dancer and performer, her international credits include shows in New York, Los Angeles, Hong Kong. Her experience includes working with major names such as the Vancouver Giants & BC Lions Dance Team, and with musical artists like The Black Eyed Peas, Michael Buble and Young MC. The William Davis Centre for Actors' Study at VanArts has a strong team of experienced professional actors working directly with you to prepare you for the world of acting in the film and television industry. This is one of the most intensive acting programs - best suited if your desire is to push yourself and your skills to the highest level of creativity and professionalism. You will receive personal mentoring, small class sizes to ensure individual attention and focus, and the opportunity to collaborate with other faculties in photography, visual effects and animation production. Our faculty of Acting instructors have starred in regular, lead, and recurring roles on TV series & features such as The X-Files, Supernatural, Continuum, Motive, Bates Motel, Battlestar Galactica, Cut Bank, Final Destination, TRON: Legacy and many more. Estimated cost: $700* *These are estimates only and assume that no required supplies or equipment are currently owned.